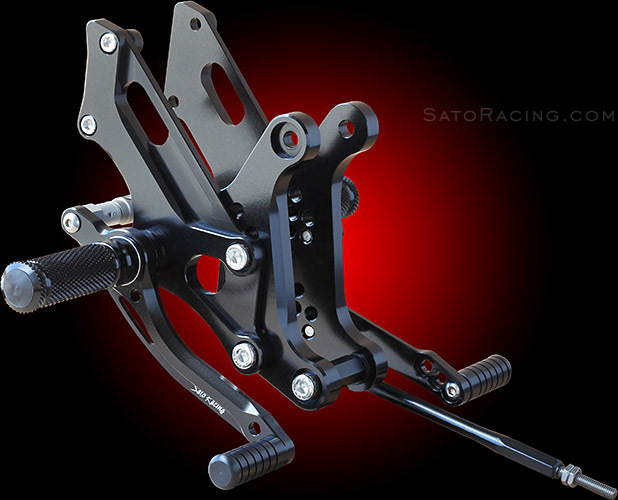 Sato Racing Rear Sets for 2002-2007 Honda 919 / Hornet 900 are CNC-machined from high strength billet aluminum and anodized in your choice of Black or Silver (clear metal) finish. 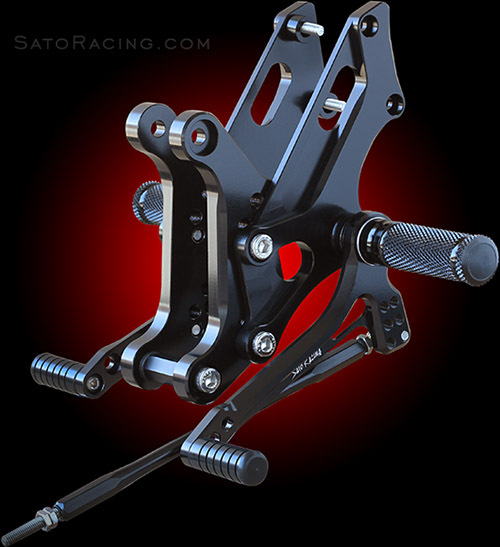 The shift and brake pedals utilize miniature double stainless bearings for smooth, precise pedal movement. 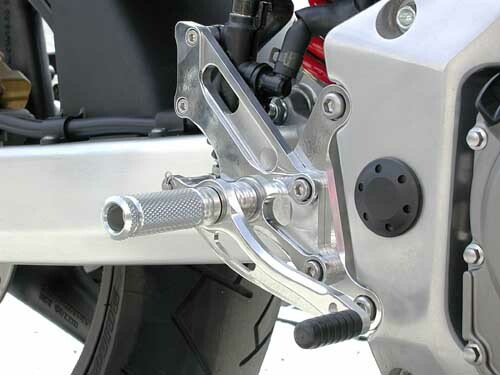 Deeply knurled footpegs provide optimal grip, along with a comfortable, intuitive feel. 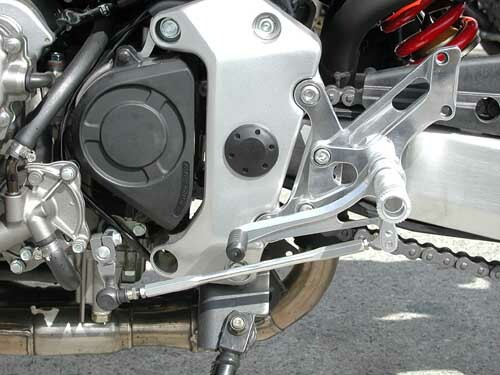 Modular design lets you select from 5 adjustable foot peg positions in a range that brings your feet progressively higher up and further back compared to stock, for a sportier, less upright riding position. Rear Sets for 919 have an updated pedal design, among other improvements. (See photos at top of page). by rotating the change arm.